US Federal Government Approved | The Exit Light Co. 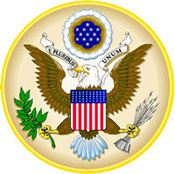 The Exit Light Company meets all criteria required for for an officially approved vendor of the United States Federal Government. Our clients include The US Department of Transportation, The US Federal Aviation Administration, NASA, and the United States Postal Service, as well as a variety of state and municipal governmental agencies.